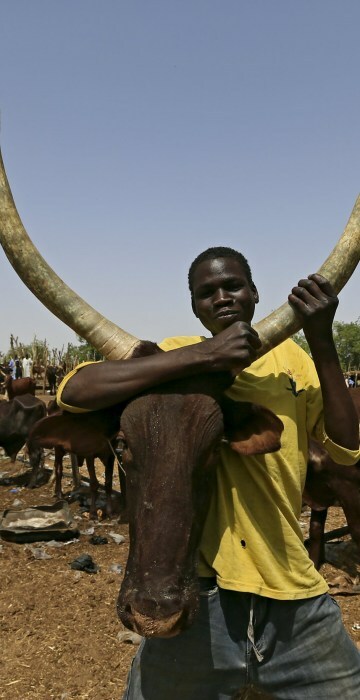 Meat has become scarce as the army has closed cattle markets to stop Boko Haram from raising funds by selling livestock, officials say. 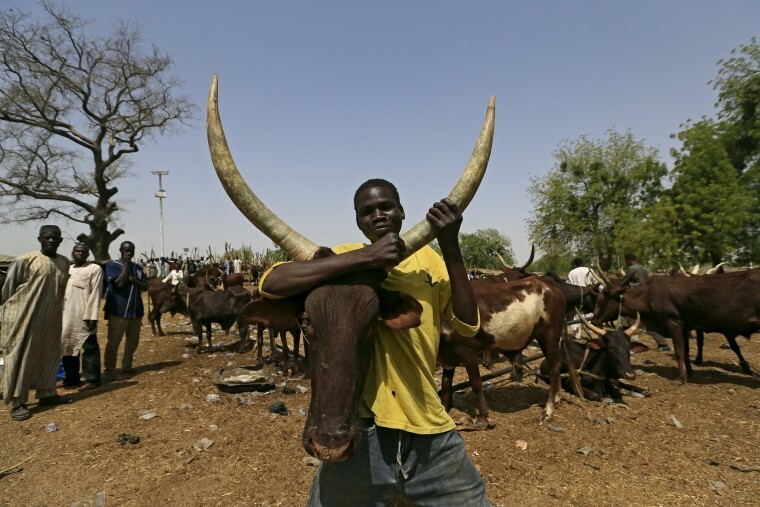 A man holds a cow at the cattle market in Maiduguri, Nigeria, on March 9, 2016. 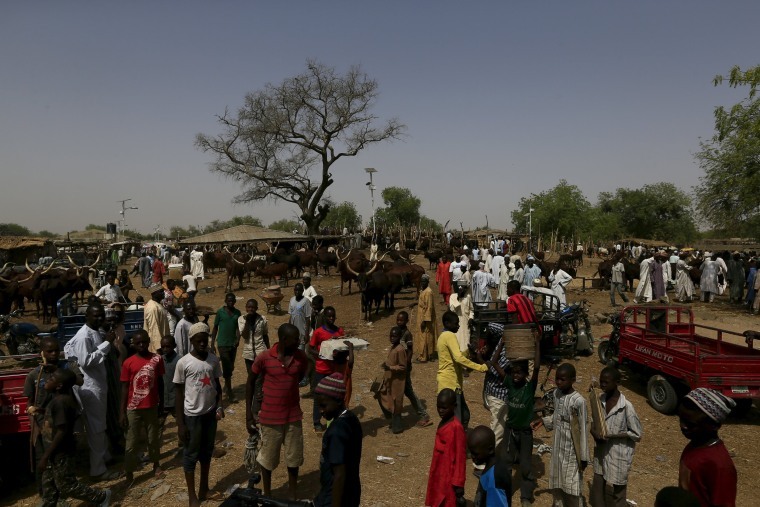 A Nigerian government push to strangle the Boko Haram insurgency has shut down the cattle trade that sustained the city of Maiduguri, leaving many residents with no livelihood, including many of the two million people displaced by the war.Those affected by the market shutdown include cattle traders, herdsmen, butchers and laborers. People walk past bags of animal food at the cattle market. 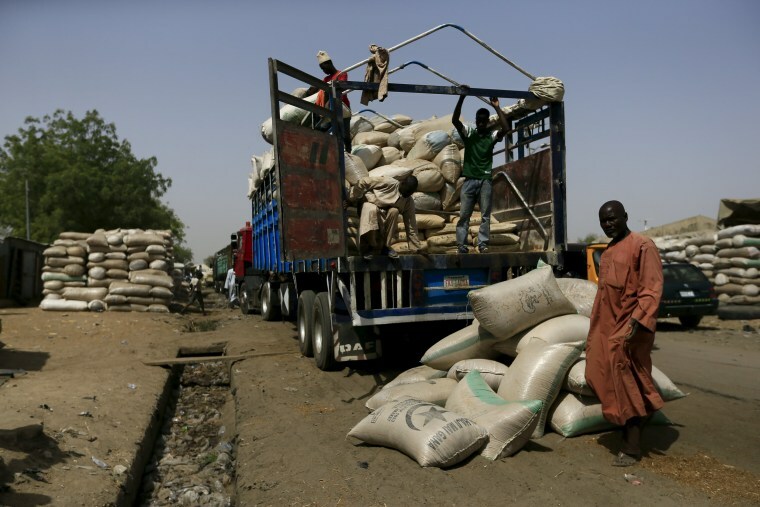 A man walks past a truck loaded with animal food. 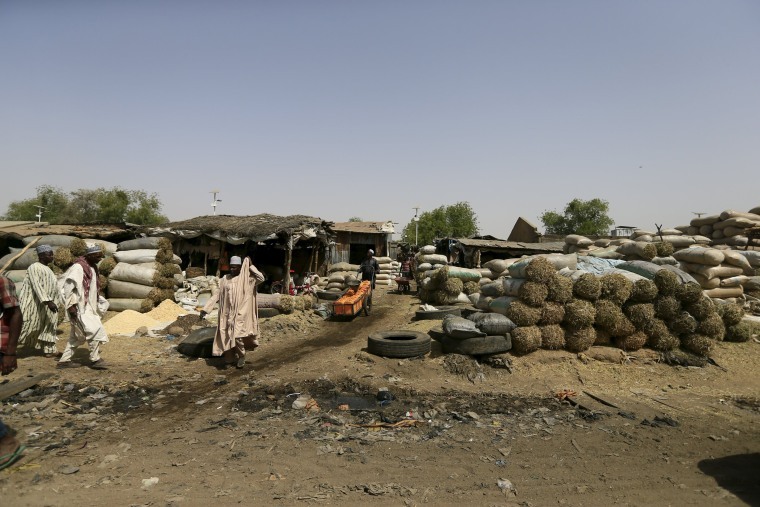 Officials say they were forced to shut the market because Boko Haram has resorted to stealing cattle from villagers to feed its fighters and raise funds after the army pushed it out of cities. Cattle looting has replaced its previous sources of income; robbing banks and kidnapping wealthy people. 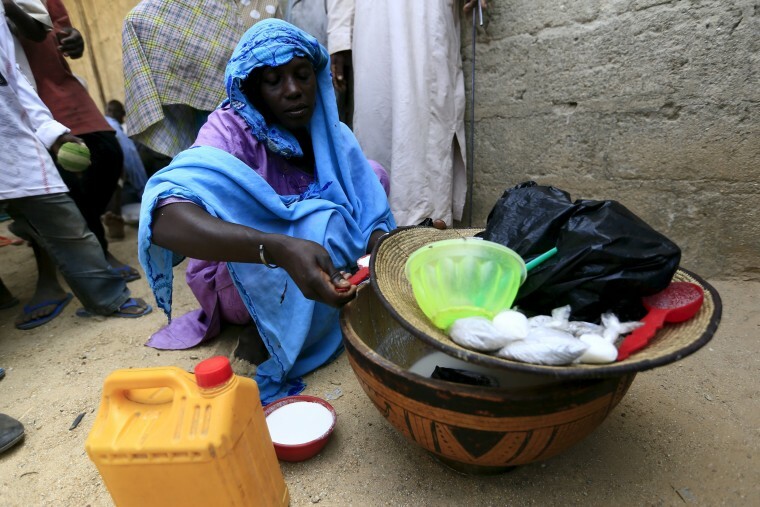 A woman sells milk at a community of internally displaced people. "I cannot afford meat anymore," said Musa Abdullahi, a laborer sipping milk sold by a female street vendor. He said he has to feed two wives and nine children, and can't remember the last time he was able to buy meat for the family. "I used to get a piece of meat for 350 naira ($1.75), now it costs 900." 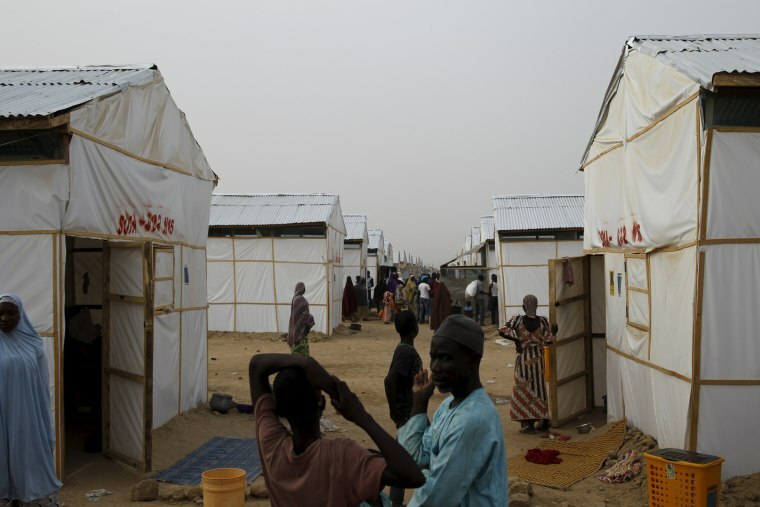 People walk near makeshift accommodation at Bakassi Camp for internally displace people. People gather at the cattle market. Officials say authorities plan to distribute food and find jobs for the city's youth. But options are limited as a slump in vital oil revenues has undermined President Muhammadu Buhari's plans to develop the north, which is poorer than the mostly Christian south, where Nigeria pumps its oil.